Is Email Marketing Still a Thing? Just mention the term “Email Marketing” and you are bound to get a puzzled look and a vague response. Many will immediately respond by saying, “spam!” Others may conjure images of their over-stuffed email inbox. These are common themes and images, but Email Marketing remains one of the most effective ways to communicate…and market products and services. Email Marketing still delivers among the highest return on investment (ROI) of any marketing programs. Let’s begin by defining what Email marketing is not. Legitimate Email marketing does not involve buying lists of anonymous names and Email addresses and spamming people and companies. Spam is the sending of unsolicited email. Spamming is illegal, it can cause reputation and web domain damage and it carries a potentially hefty monetary penalty for each person you send an unwanted Email to…don’t do it. Successful Email Marketing involves using Email to communicate with a customer or potential customer that has given you permission to contact them. 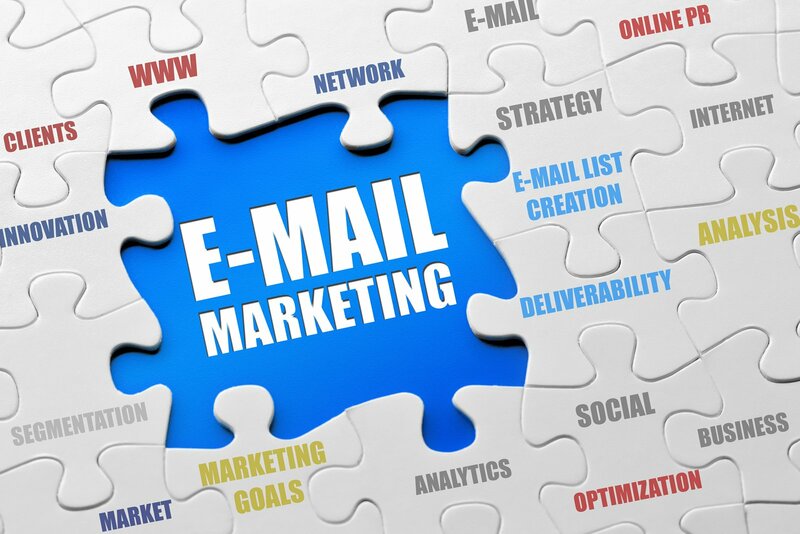 When used in conjunction with other marketing programs such as content marketing and inbound marketing, Email should be an essential part of your overall online marketing mix. Some of the biggest challenges to successful Email Marketing are technical in nature. Configuring your DNS and servers properly can mean the difference between a successful campaign and all your mail winding-up in junk or bulk mail folders. Once you hit the junk mail, spam or bulk mail folders, the chances of your target audience ever reading your Email falls to near zero. List maintenance is a big deal, and is a technical consideration. Keeping your lists up-to-date is critically important. Not properly maintaining your list can get you blacklisted very quickly among the major ISP’s. When people abandon emails the ISP’s monitor some of those accounts to catch unscrupulous spammers, then block them from sending mail to all their customers. These are known as “spam traps” or “honey pots”. You may not even be a spammer, but if you don’t clean your lists routinely and you send to one of these addresses, you will be seen as a spammer and suffer the consequences. Many purchased lists contain high levels of these rogue Email addresses. ISP’s and mail clients (such as Gmail) use machine-readable elements to look at and evaluate your email message. This automatic evaluation then assigns a score to your email message. If your score is high (contains a high number of negative elements), your email may get rejected. The design of your email has a major impact on the likelihood that your Email campaign reaches your target audience’s inbox. Too many images or too-heavy images and it may be marked as spam or blocked. The wrong subject line and your message will be rejected and thrown into the bulk mail or advertisement folder. Use the wrong code and it can be seen as a malicious email and blocked completely. Make an image or layout too big and it may be hard to read on a mobile device. These are a few of the obstacles that can confound an otherwise well-planned Email campaign. ForexTV Email Marketing Team has many years of expertise in managing mail lists and technical requirements for email marketers. Overcoming the technical obstacles in setting-up an Email campaign is just a part of the challenge. Like content marketing, there is a science that goes along with your message and how the average human brain processes information. Follow the science and you will increase the likelihood of getting your message across to your audience. A message must be pleasing to the senses (visually) and it certainly needs to convey, important, useful and timely information. Email Marketing involves constantly evaluating your audience and your results. Variables such as the ideal time of day, frequency of emails and understanding the client buying cycle are very important. Sending you message to as specific an audience as possible is an ongoing challenge that must be met to stay successful. Will Affiliate Marketing Still Be Effective in 2019?